It’s often said that being a Mum is the hardest job in the world. After all, there’s no knock off time, and you’re locked in for at least 18 years. So it makes sense that one day a year, the rest of us make an effort to spoil the maternal figures in our lives. Mothers’ Day is a huge time for the retail and hospitality industries – in 2016, Australians spent close to $2 billion dollars on their mums, on items such as fashion, jewellery, flowers and food. With so many options for gifts this Mother’s Day, it’s imperative to make your business stand out from the rest – and the easiest and most efficient way to do that is through SMS marketing. For cafes and restaurants, Mothers’ day brunches and lunches can book up weeks in advance. Use SMS to confirm and remind customers about their reservations, minimising the risk of no shows and maximising your revenue. The only thing worse than a customer no-show is a room full of customers and not enough staff to serve them. With Bulk SMS, you can send mass SMS to your staff database when shifts need to be covered or more shifts become available – and using a dedicated short number your employees can reply instantly. Minimising the time needed to individually call or message staff members, you can dedicate more time to creating the ultimate customer experience. Sales and promotions are the most tried and tested way to increase traffic during peak shopping times - but how will your customers know about your great offer if it gets lost in a sea of junk mail? Research shows that the average open rate for SMS is 98%, so your customers will be notified of your promotion with plenty of time to head into store to find that perfect gift. Need that extra little point of difference? Send an SMS offering a free gift if the customer displays the SMS in store – this makes the customer an active participant in the promotion, setting you apart from the dozens of “20% off” promotions. Run an online business and looking to increase your traffic? Use SMS marketing services to remind customers to order by a certain time to guarantee delivery before the special day. This will drive your sales as well as lessen the likelihood of disgruntled customers next week complaining about not receiving their orders in time. Sometimes, the best way to make your business stand out is simply by letting your customers know that they’re valued. Send a quick message wishing them ‘Happy Mothers’ Day’ and letting them know you look forward to seeing them again soon. 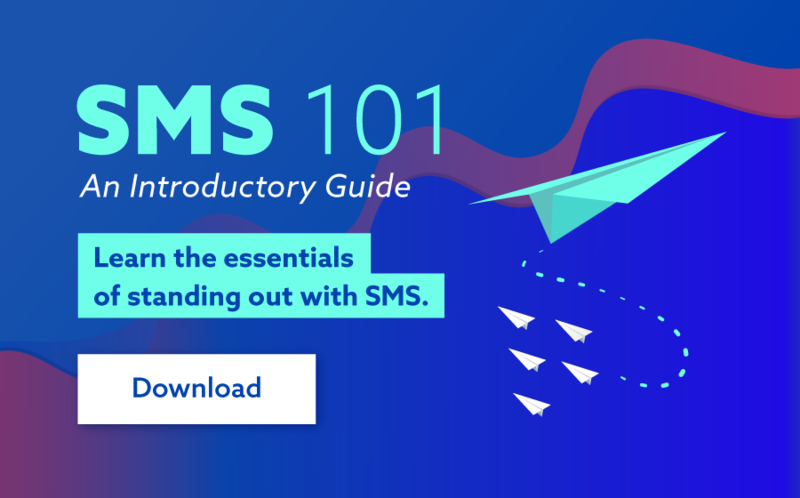 While SMS is a great method for text message advertising, a dynamic MMS featuring images, audio or video is a sure-fire way to make your customer smile. Boost sales this Mothers' Day and engage customers utilising SMS marketing. Call us now to meet with one of our Melbourne based specialists to quickly set your Mothers Day activity up – coffee, chocolates and expert advice are on us. If you’re located elsewhere, call 1300 883 400 to speak to an expert who can help you drive sales and revenue.